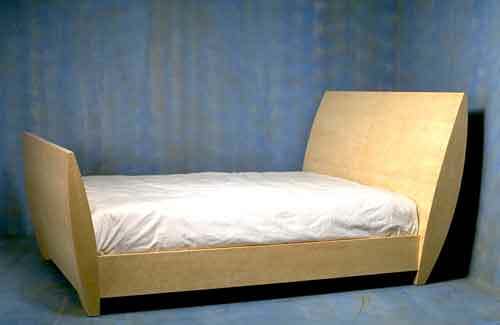 © 1996 The only straight lines on the bed are horizontal. When viewed from the end the sides gently bow outward. 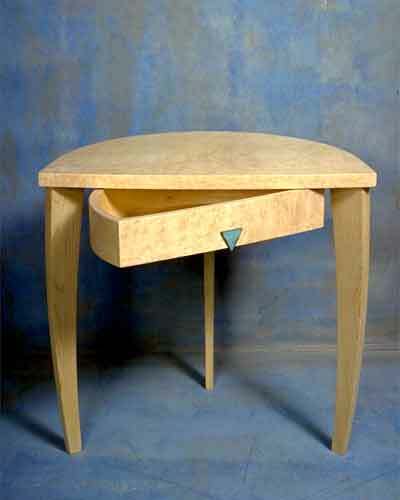 Because of its curved back the night stand drawers pivot open rather than slide straight out. The night stands are right and left handed.